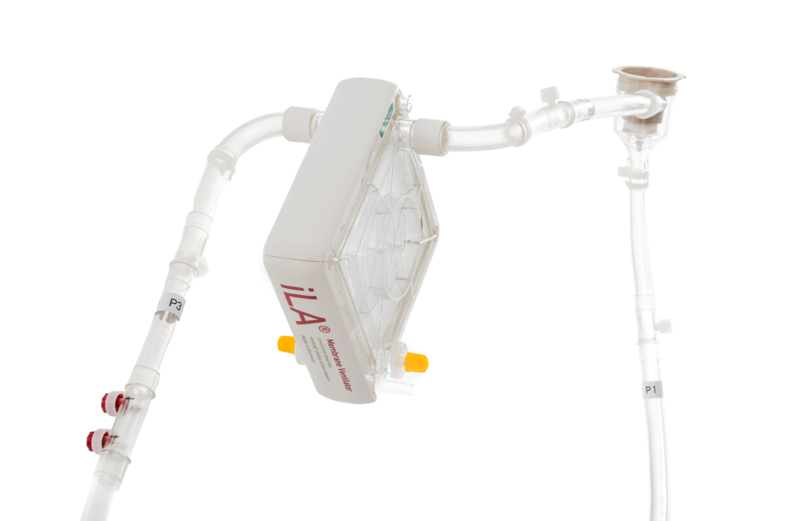 The established iLA activve kits have been developed according to the motto „SAFE, SIMPLE, FAST“. Novalung kits are oriented around patient’s safety. The INTEGRATED PRESSURE SENSORS (IPS) enhance safety due to the elimination of pressure measurement lines. Integrated pressure sensors (IPS) elevate your patients’ safety to the next level. Priming of the preconfigured kit requires just one person. Pump-driven priming in only two minutes. You can choose the compatible kit for children and adults. 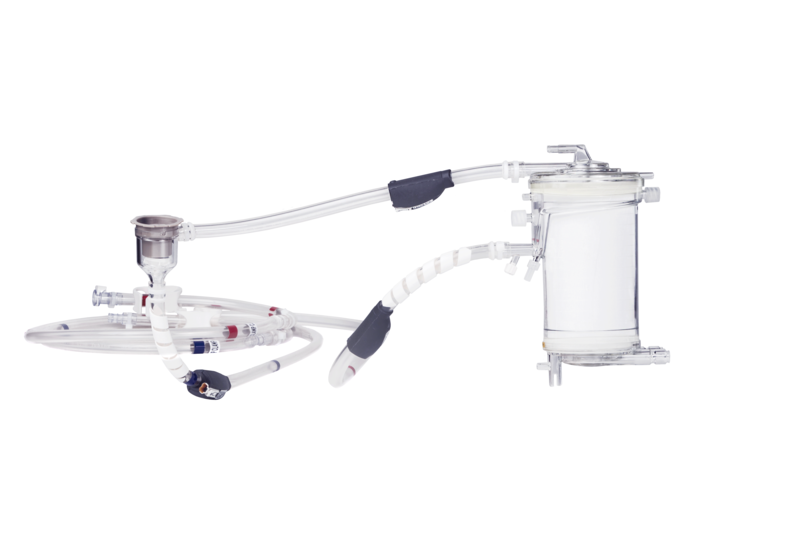 As funnel-shaped tubes are no longer needed to connect different tubing diameters, blood flow through the patient kit is more homogeneous with less turbulences. The x.ellence coating is a special multilayer coating which enables long-term use with a certfication for use of up to 29 days. Additional accessories, including filling line, gas line, Christmas-tree connector and clamps. 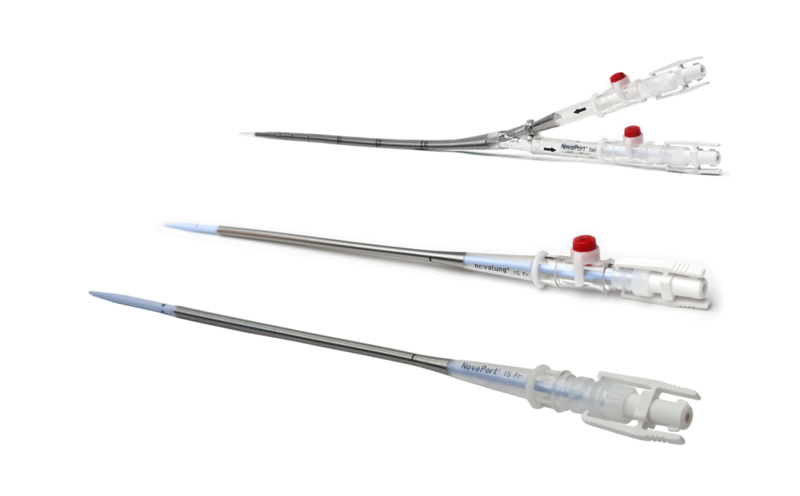 NovaPort twin double lumen cannulas are specifically developed for veno-venous vascular access. All blood contact surfaces are coated with stable, biocompatible heparin coating. Double lumen cannulas are ideal for the mobilisation of the patients.